You are not required to submit any PII to use this website. However, the server for this website may collect data about your visit, your computer’s IP address, browser type, operating system, geographic location, referral source, pages visited, and other “analytics” data. I may review that data from time to time to understand how the website is used and to improve the website for users. other audiences.) Mailchimp (for the purpose of mailing list management.) Instafreebie (For the purpose of book delivery.) Please note that I have appropriate data privacy safeguards in place with third parties with whom I share Personal Data as described above and who are providing services or functions on my behalf. This page describes what information they gather, how I use it and why I sometimes need to store these cookies. I will also share how you can prevent these cookies from being stored however this may downgrade or ‘break’ certain elements of the site’s functionality. Be aware that disabling cookies will affect the functionality of this and many other websites that you visit. Disabling cookies will usually result in also disabling certain functionality and features of the site. Therefore it is recommended that you do not disable all cookies. Cookies On This Site – This site offers opt-in newsletter and email subscription services and cookies may be used to remember if you are already registered and whether to show certain notifications which might be valid to subscribed/unsubscribed users. At your election, you may provide your email address to subscribe to receive my newsletter and other emails. You may also provide your email address and name to contact me via a form on my website. You may provide PII in order to post comments and as part of comments on the blog. You should be aware that anything you post and any PII you disclose in blog comments will be available for others to see, via the internet, around the world. 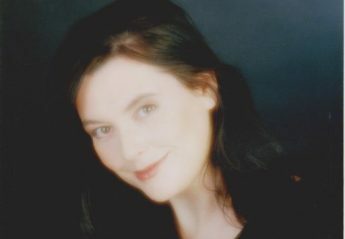 If at any time you would like me to remove your PII from my database, please email me directly at roisindoo@yahoo.com. You may unsubscribe from my mailing list by clicking on the unsubscribe link on any newsletter. I will take reasonable technical precautions to prevent the loss, misuse or alteration of your PII. I will not provide your email address or any other PII to any other person, other than (i) to MailChimp, (ii) Instafreebie or other provider which assists me in sending newsletters, emails and books or (iii) if required to be disclosed by law or in connection with any actual or threatened legal proceeding. reasonably consider that I need to use it for another reason and that reason is compatible with the original purpose. If you wish to have an explanation as to how the processing for the new purpose is compatible with the original purpose, please contact me. If I need to use your Personal Data for an unrelated purpose, I will notify you and I will explain the legal basis which allows me to do so. Roisin Black, Oakville, Ontario, L6J4V9, Canada.